Have more fun sending money with GCash! 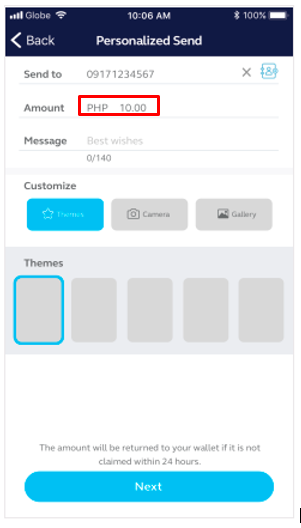 Use the Personalized Send Money feature which lets users send money with a customized photo or video message. Write a short message to the person you're sending money to. 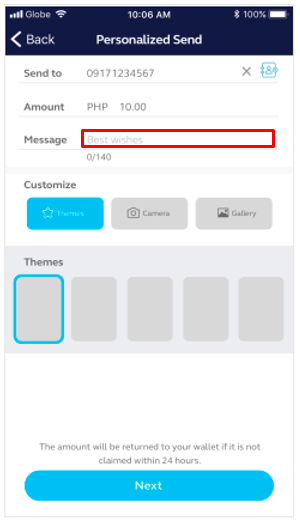 Lastly, choose a theme, take a photo, or select a photo or video from your phone's gallery then click next. You will be lead to the Preview Page, click next and then review the details before confirming your transaction. It's best to tell the person you did Personalized Send to check their notifications so they can claim your send money and so you can see their reaction! The recipient should receive the amount as a Push Notification or an SMS. Please note that the recipient has 72 hours to claim the Personalized Send Money. If not, the funds will automatically return to the sender's account. 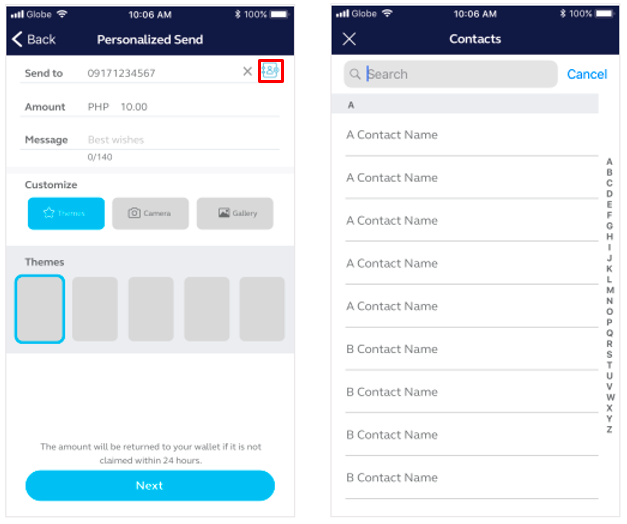 If the person you sent Personalized Send Money to does not have the GCash App installed, they can click the link in the SMS they have received, prompting them to download the app.